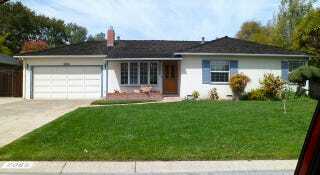 Though the legend of Steve Wozniak and Steve Jobs developing the first Apple computer in a garage at 2066 Crist Drive in Los Altos is certainly romantic, it didn't exactly happen that way. "The garage is a bit of a myth," says Wozniak in a new interview with Bloomberg. "It represents us better than anything else, but we did no designs there. We would drive the finished products to the garage, make them work, and then drive them down to the store that paid us cash." But just because the Apple-1 wasn't designed there doesn't mean the garage isn't part of Apple's history—in fact, it was made a "historic resource" by the The Los Altos Historical Commission last year.